An eye opening article out of Vancouver on the issue of non-citizens voting. 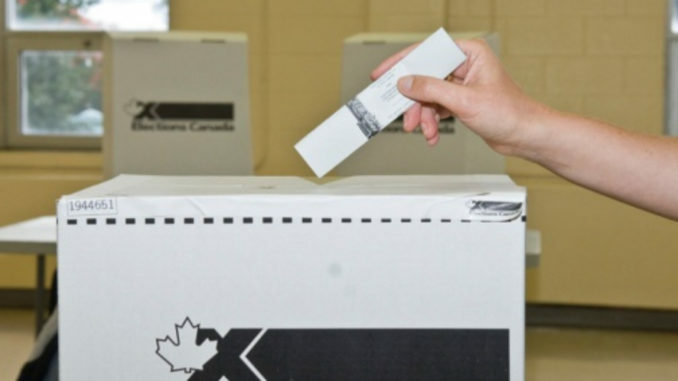 British Columbia is currently in the middle of a referendum on electoral reform. Sure, voters turned down proportional representation before but with the NDP back in power, let’s try again! So can non-citizens vote in this referendum? Well they aren’t supposed to but they can because neither Elections BC, not it turns out Elections Canada, has the ability to check. I imagine it is much the same across the country, because as you will see in a minute, it is the same for Elections Canada. Yet everytime this issue of non-citizens voting is raised at any election time, we are told that to simply ask the question is racist. Now I never fall for that BS. The implication is that a complaint about non-citizens voting comes from white people and is always aimed at non-white people. Well my parents are white, they are also immigrants and had to become Canadian citizens to vote. Turns out that, in today’s Canada at least, you could simply claim to be a citizen. “While we clearly communicate the citizenship requirement to vote, we depend on individuals to accurately indicate their Canadian citizenship, so we recognize the process is not perfect,” read an email from Elections Canada to NEWS 1130. That should be worrisome to anyone one concerned about the integrity of the vote! While most people will follow the rules, not everyone will. Ward healers, community organizers, may not think twice of lining up people that aren’t eligible to vote but that those organizers can control, to make sure they all vote a certain way. Anyone around politics for more than 5 minutes has heard such stories. This is a real concern that should be addressed but so far, no party has touched this. The question is are they they not looking for solutions because they don’t have any or because they don’t want this fixed?